NHLA to Launch New Website and Early Bird Registration on April 15! Registration for the 2019 NHLA Annual Convention & Exhibit Showcase will open April 15 and with it a newly revamped website at nhla.com. The new website features a streamlined and simplified design, improved functionality and enriched content areas to keep members and visitors up-to-date on the latest news happening in the hardwood lumber industry. Interested in Learning but Short on Time? Our short course offerings (3 to 5 days) are just the ticket! Looking to Begin a Career as a Lumber Inspector? Do You Need Flexible Training Solutions for Your Company? We offer Customized Education Solutions! NHLA’ team of National Inspectors will instruct your inspectors and other key employees at your location optimizing the learning because the training is done on your lumber; with your equipment; at your speed and at your facility. In-house training is customized to meet the specific needs of your company. To schedule in-house training contact your regional National Inspector or the Chief Inspector directly at d.spessert@nhla.com. To view a full listing of educational events, check out the NHLA calendar. 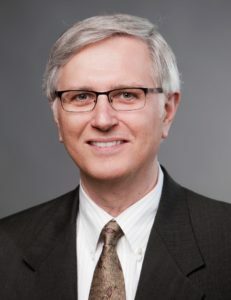 U-C Coatings, LLC, a leading manufacturer of wood protection products, announces the retirement of Tom Johel, its Chief Executive Officer, after 32 years of service. Tom began his career with U-C Coatings as a sales representative in 1987, bringing prior experience in the lumber and furniture manufacturing industries to the company. He was instrumental in the growth of U-C Coatings and was promoted to Vice President of Sales in 1992, where he oversaw the expansion of the company’s product line and sales activity for the North American hardwood market. With a growing customer base, he assumed management of manufacturing as well as sales. In 1999, Tom became President and Chief Operating Officer, increasing productivity and overseeing expansion of the company’s headquarters in 2001. In 2018, Tom assumed the role of CEO, where he continues to manage the company and oversee strategic expansion opportunities. NHLA recently attended the International Mass Timber Conference in Portland, Oregon which focused on advancing the use of cross-laminated timber. In an eye-opening seminar entitled “Being Bold, Being True: Why Big Tech, Big Apparel, and Big Conservation Are Embracing Mass Timber and How to Ensure Its Integrity” esteemed guests from Google, Sidewalk Labs, Adidas and The Nature Conservancy explained why they love wood buildings and how their own mass timber building projects testify their commitment to wood construction. Sidewalk Labs, a sister company to Google, is developing a $1 billion, 12-acre community in Toronto, Canada, that would be built largely with mass timber. The neighborhood, called Quayside, will include 3 million square feet of CLT and glue-laminated timber (Glulam), and 3,000 residential units. Quayside would be the largest mass timber development in the world and is designed by Vancouver, B.C., architect Michael Green. Calling for Convention Exhibitors & Sponsors! 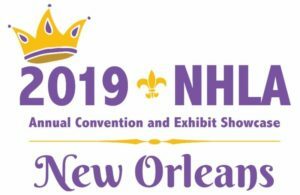 NHLA is seeking exhibitors & sponsors for the 2019 Annual Convention & Exhibit Showcase. As a proud sponsor of the NHLA Convention, your company aligns itself with a trusted organization with more than 120 years of proven advocacy and action on behalf of the hardwood industry. As an exhibitor, your company will be in front of hundreds of global hardwood industry leaders and decision makers – your customers and potential customers. Please consider becoming a part of our exciting endeavor. Click to Review the Sponsor Opportunities at each sponsorship level, choose a sponsorship that meets your needs, then contact a member of the business development team. Contact NHLA by June 15 with your intent to sponsor to guarantee that you are included in the July Convention Special Edition of Hardwood Matters. Click to review the Exhibitor Layout, choose your booth, complete the contract and then contact a member of the business development team. Early Bird registration opens April 15! Make your decision now to gain the most exposure possible. Exhibiting and Sponsorship helps foster long-term relationships for the mutual support of a strong hardwood industry. Thank you for your consideration. To participate in the 2019 NHLA Convention, contact John Hester at 901-399-7558 or Vicky Simms at 901-399-7557. Thanks for your interest in the National Hardwood Lumber Association. Questions on any topic in this newsletter can be directed to Renee Hornsby at r.hornsby@nhla.com.